CSUN Sustainability Center opened in October 2017. 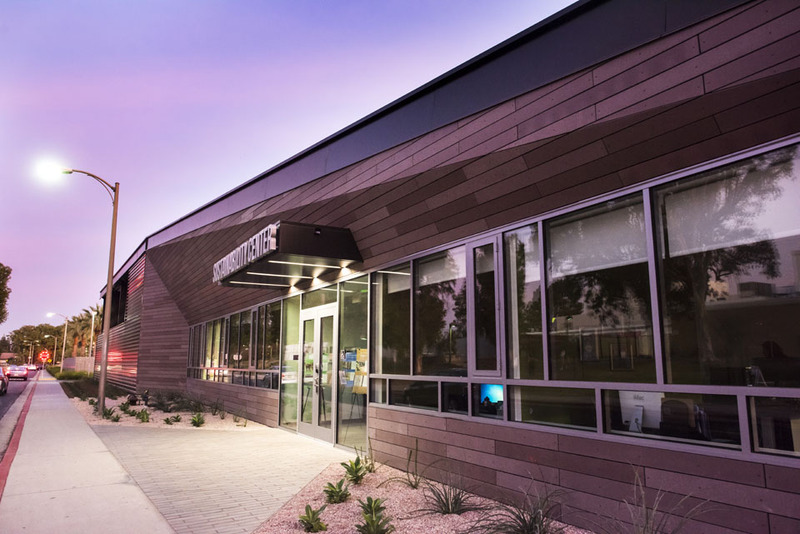 It is one of the things that earned CSUN recognition as a top performer for diversity and affordability by AASHE. Photo by Lee Choo. California State University, Northridge has been recognized as a top performer for diversity and affordability in the Association for the Advancement of Sustainability in Higher Education’s (AASHE) 2018 Sustainable Campus Index (SCI). This year, CSUN is the only California State University to be recognized as a top performer in the diversity and affordability section within the index. CSUN has been a member of AASHE for more than three years and has been rated as a gold institution within the organization’s Sustainability Tracking, Assessment and Rating System (STARS) since 2016. The gold rating was the highest in the CSU system at that time, and the first year the university had completed the very complex and rigorous STARS application. AASHE ranks colleges’ sustainability efforts within its campus index, which recognizes top-performing colleges and universities that are selected by institution type in 17 sustainability impact areas. For CSUN, campus-wide sustainability efforts took off in 1999, when Associated Students, the student government, established AS Recycling. Other milestones have included the introduction of the LimeBike ride-share program early this year and the grand opening of the LEED Platinum-certified Sustainability Center, the first of its kind in the CSU. In 2016, CSUN facilities and plant management staff made a concerted water conservation effort by piloting a hydrogel injection beneath the surface of the grass on the campus’ North Field, East Field and Sierra Quad during the worst drought in California’s history. The gel acts like a liquid sponge which absorbs irrigated water and releases it to the plant when needed. The projects attracted diverse businesses neighboring the CSUN community to learn from CSUN’s methods, according to Eriksson. Currently, CSUN officials are working to develop a Zero Waste Plan to bring the institution from a 54-percent diversion rate — diverting trash to recycling/compost instead of landfills — to 95-percent diversion rate by 2025. For more information on CSUN’s sustainability, visit: https://www.csun.edu/sustainability. CSUN’s STARS report is publicly available on the STARS website: http://www.aashe.org.